My first experience with Sax in the City was absolutely moving. I had heard about it for quite a while, but you know how it is with life, commitments, and such, it’s not always possible to do everything! So, the stars aligned, and I was able to drum up my parents and husband to see what all the buzz was about. 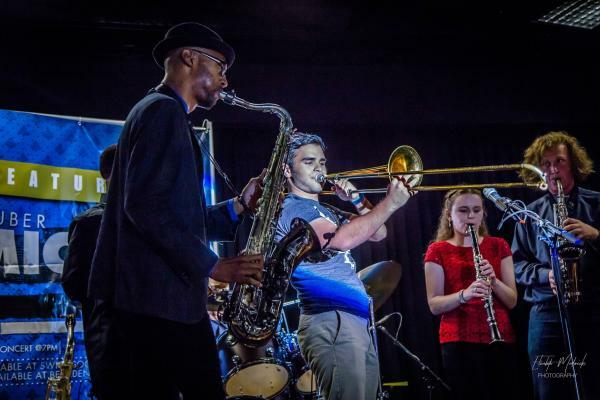 Three-time “GRAMMY nominated music educator” Mickey Smith is not only a musician, performer and saxophone player extraordinaire, but he is an inspiration. He pours 100% of his energy into everything he sets his mind (and heart) to create. I knew this about him, and that made me anticipate the experience even more. The next concert is around the corner, and if you are interested in going, it’s best to pre-purchase the tickets because they have recently expanded it - due to it being temporarily at a sold-out status. So, yeah, get them while you can! I can personally attest that there will be an incredible lineup of musicians ready to wow crowds on Sunday, Oct. 7, because I have heard them all play throughout my life at different events, and to have them all in the same room is going to be such a treat! Aside from this beautiful gesture of the instrument presentation, spectacular surroundings, and the greater overall mission of the evening, Mickey will also be showcasing original music inspired by his Southwest Louisiana home. His inspirational lyrics and sax riffs are especially impressive on “Keep On Going” and “Let Us Be,” which includes new, original vocal refrains, and of course, Mickey’s shining tenor solos that tell the story of his Louisiana roots. 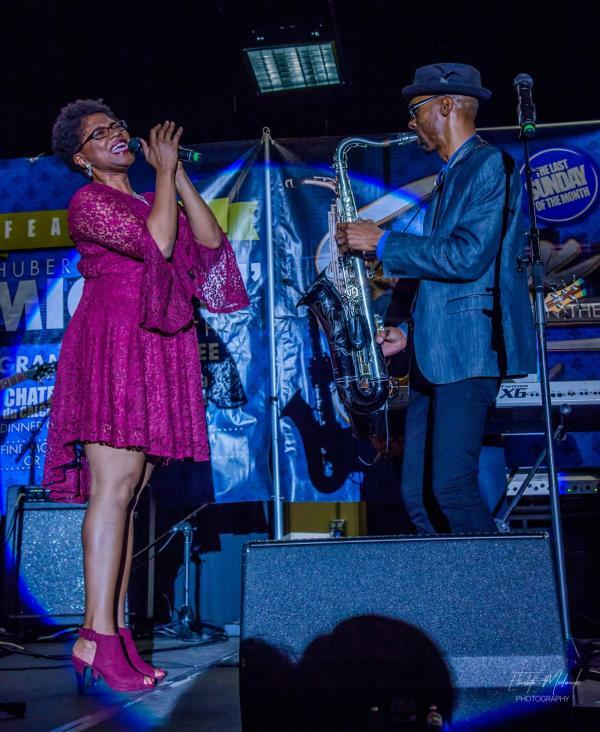 Among the many talented artists represented in the Sax In the City Experience are the beautiful vocalist Eugenia Smith, Sax In City friends such as Leah Howard, and Jairus Daigle, straight-ahead jazz pianist Chester Daigle as well as 2015 GRAMMY winner and SWLA Cajun Music legend Jo-El Sonnier just to name a few. These dynamic artists along with the Sax in the City house band and others collectively add magic and groove to lounge-like jazz tunes. 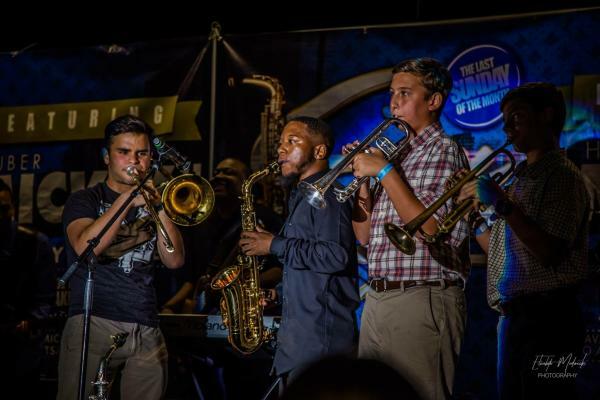 The Sax In the City Band is comprised of award-winning and musically endorsed artists that will leave the crowd uplifted and inspired. There will be a special performance by Jazz In the Arts Interns, Foot In the Door, and MusicMaker2U recipients. Tickets are $50 per person or $600 for VIP tables (seats 8). Tickets are available exclusively at mickeysmithjr.com and musicmakers2u.org. Take note that Golden Nugget has a diverse mix of dining options before and after the show, but with your ticket, you will be able to enjoy a sweet & savory appetizer plate and a beverage. There will also be a cash bar available. PS I always like to give a shout-out to supporters: The concert is generously hosted by Golden Nugget Lake Charles and presented by Lake Charles Toyota.